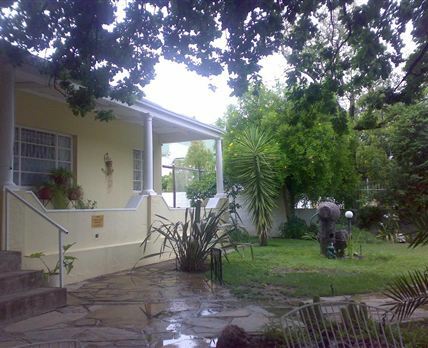 Stemar Self-catering Guest House: Situated in the historic and culture-rich town of Graaff-Reinet, Stemar Self-catering Guest House offers every visitor the same hospitality and acquaintance that was the foundation of this small Karoo town in 1786. Get back to nature, enjoy various adventure-filled activities, or just browse through all the museums that capture the history of our region and town. Stemar Self-catering Guest House was founded in 1997 as part of the growing tourism industry in Graaff-Reinet, the Gem of the Karoo. Catering for single tourists as well as families, we have been offering self-catering accommodation of the utmost standards to visitors from South Africa and abroad. The Tourism Grading Council of South Africa has awarded us with a 2 Star grading, meaning that we are able to cater to every need of our visitors while they enjoy the splendour of our lovely town. Whatever your reason for visiting us, we know that you will be back to visit us soon. Click here to enquire at Stemar Self-catering Guest House.